Present your clients with strategic financial solutions! HowardSimon partners with business professionals to improve solutions offered to clients and promote superior business practices. With both parties bringing their experience and knowledge, clients receive a higher level of service with an added level of support. HowardSimon works with an established network of trusted individuals and organizations, while continuously pursuing additional partnerships to better serve clients. HowardSimon partners with accountants to provide accurate and dependable payroll services to their clients. Our solutions focus on freeing up time and money, allowing resources to be better allocated for their business. Accountants trust HowardSimon to properly process their client’s payroll, while working with a system that offers customized reporting and easy transfer of payroll data into the general ledger. HowardSimon works with affiliations and associations to improve services and provide cost savings to members in the network through affinity programs. 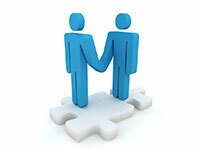 We cater customized solutions to meet unique needs of the group, while ensuring a mutually beneficial partnership. As a trusted expert, clients depend on advisors for profitable financial strategies. Establishing a retirement plan is a critical aspect of securing financial goals. HowardSimon offers advisors diverse options and flexibility to formulate effective solutions for their clients, as well as providing client support through informational meetings and marketing materials. Many payroll and retirement planning companies are moving into health insurance - that’s not us! We work with health insurance agents/brokers to provide clients with trusted services, while combating the risk of competition from your client’s current payroll or retirement plan provider.